Brian Solis, author and analyst for Altimeter Group, shares his research and musings on the latest digital trends and disruptions in this interview with Retail Touchpoints. Q: You’ve spoken a lot about the “experience economy” and how it’s the future to long-term success. What does this mean for retailers, especially during the holiday season? A: Joe Pine and James Gilmore coined that phrase and wrote The Experience Economy, a book that inspired me to re-imagine what the word “experience” means today. Good or bad, they have the power to become memories. Today, your brand is defined by the experiences people have and share, which is completely different than in the past. If people are going to have an experience, what do you want them to feel? This is a time where retailers need to think about what that experience style guide should be, and not think about sales and service scripts. Q: Do you have examples of more emotive experiences that indicate retail is catching on to this trend? A: I spent the better part of 2017 and 2018 interviewing retail leaders to get a sense of what the best are — and aren’t — doing. Sephora, Domino’s, and Starbucks are fascinating examples. They don’t use gimmicks; it’s about transforming the organization based on what you want the customer to feel. Even though there are incredible pockets of innovation and experimentation, there are few examples of digital transformation. No one retailer has completed this transformation and has been 100% happy with where they were at. Q: Retailers want quick wins and big sales during the holidays, but what about when the season is over. How do we create long-term cultural change and transformation? A: Holiday is a rush to close out the year, and “short-termism” aims at the holidays, as well as quarter-to-quarter performance. If you don’t find ways to reiterate or innovate, you’re going to be performing in the same cycles and you won’t get far as the consumer (and your competitors) continue to evolve. I call that “the fallacy of busy” — getting caught up in everyday routines. Success is a poor teacher when it comes to innovation, but it is necessary to compete, even when there’s outside pressure, quarterly earnings pressure, and other sources that don’t allow brands to innovate. Amazon has fundamentally changed the way people shop, but many brands aren’t doing the things that cater to their customers. You’re also competing against Uber, or Airbnb, or any other service or app that’s personalized and experiential. Many ecommerce experiences still feel like 1999. Your customer is being reconditioned to do things differently and culture is what’s holding so many brands back. Q: You noted some interesting shifts in customer behaviors. What do retailers need to know about the customer as we head into the holiday season? A: Many organizations’ data is siloed and there’s no center of reference. Innovative organizations are collecting, processing, and cleaning up data, and they’re hyper-focused on mobile data in particular; mobile signals are incredible providers of customer intent — and if you have a structure that can process that intent, you can do everything. During the holiday season, the focus is getting someone’s attention and helping them find what they’re looking for. But we also need to put the insights we learn into a machine-learning app and apply artificial intelligence (AI) to it in order to learn about the customer and build an organization around them. 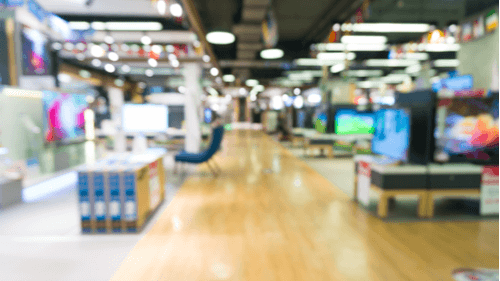 The most innovative retailers are constantly re-evaluating who the customer is and mapping the customer journey. They’re investing in formal innovation programs, recruiting necessary digital skills across the organization, and starting to learn how to predict customer trends and behaviors. Few and far between are at that level, but that’s where it’s going. 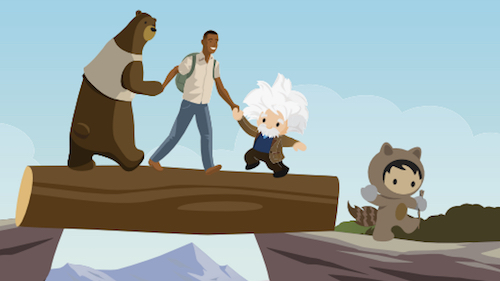 There’s lots of work to do and there will always be lots to do because the customer isn’t done evolving — and never will be. Want the whole story? To hear the rest of Brian’s insights on this topic, listen to his Holiday Insights Series interview. For more recommendations, including flash reports during Cyber Week, visit our Holiday Insights Hub or access our complete Holiday Readiness Guide.